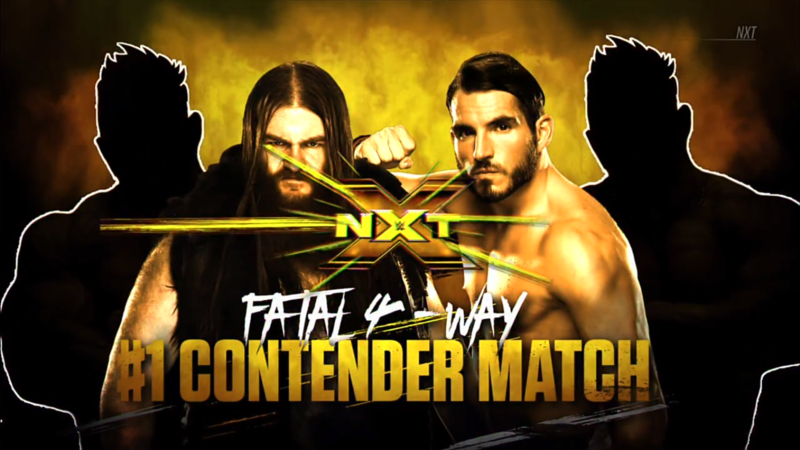 NXT Championship #1 Contender Series: Trent Seven VS Killian Dain; Dain wins and moves on to the #1 Contender Fatal 4 Way. No Holds Barred Match: Ruby Riott VS Sonya Deville; Sonya wins. 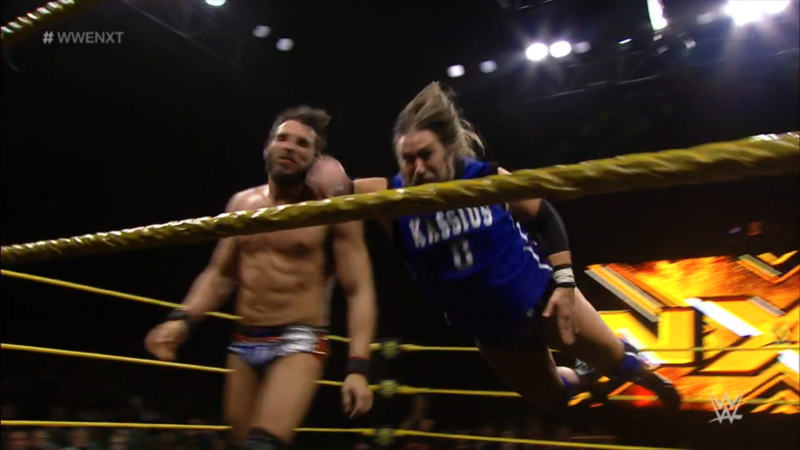 NXT Championship #1 Contender Series: Kassius Ohno VS ??? ; Johnny Gargano wins and moves on to the #1 Contender Fatal 4 Way. NXT General Manager William Regal repeats his major announcement. 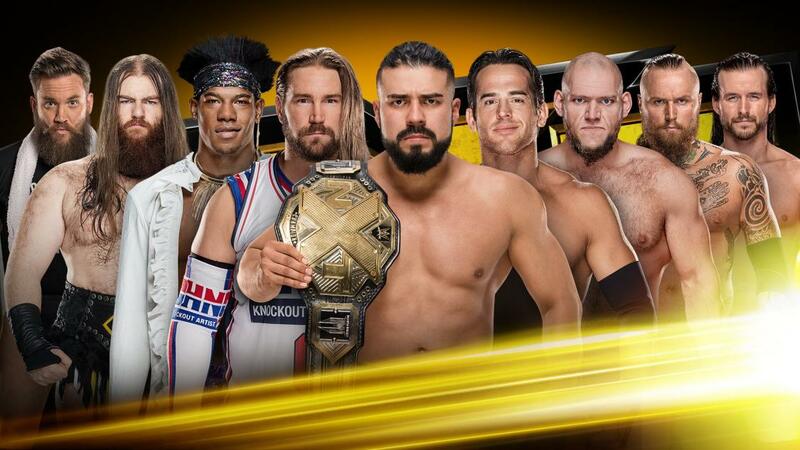 With former champion, Drew McIntyre, out with injury, “there is an opportunity to name a new #1 contender” to face El Idolo for the NXT Championship at TakeOver: Philadelphia. Four singles matches will be held over the next few weeks, and the winners of those matches will compete in a final Fatal 4 Way to determine THE #1 Contender. Tonight will see SAnitY’s Killian Dain against Mustache Mountain’s Trent Seven, and in a twist, Kassius Ohno has a mystery opponent, as Velveteen Dream was injured at TakeOver: WarGames. Best of luck to all eight competitors on the Road to Philadelphia. 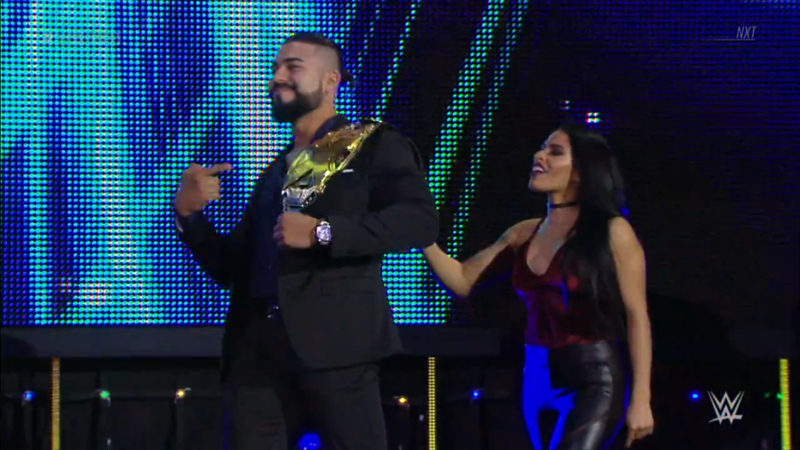 The NXT Champion, Andrade “Cien” Almas, comes to the ring! El Idolo is now El Campeón, and it is all thanks to La Gerente, Zelina Vega. And now, as promised, it is time for the Campeón Fiesta! The crowd has mixed reactions to Almas winning in the first place, but that doesn’t bother Almas or Vega one bit. Vega says Full Sail is witness “to the beginnings of a historic championship reign!” Respect the man, embrace the legend, and rise for your NXT Champion! Still a mixed reaction, but there are those that chant “SI! SI! SI!” Almas takes the microphone and says to his doubters, “I told you!” He vowed to be champion, and he IS champion! Almas defeated Drew McIntyre, he hurt Drew McIntyre. As for the next #1 Contender, El Idolo beat Drew so he’ll beat whoever is next, too. And for those who shout “We Are NXT”, he laughs at you. He is El Idolo, and he is your champion, forever! Almas poses with the belt, will he really have that belt after TakeOver: Philadelphia? 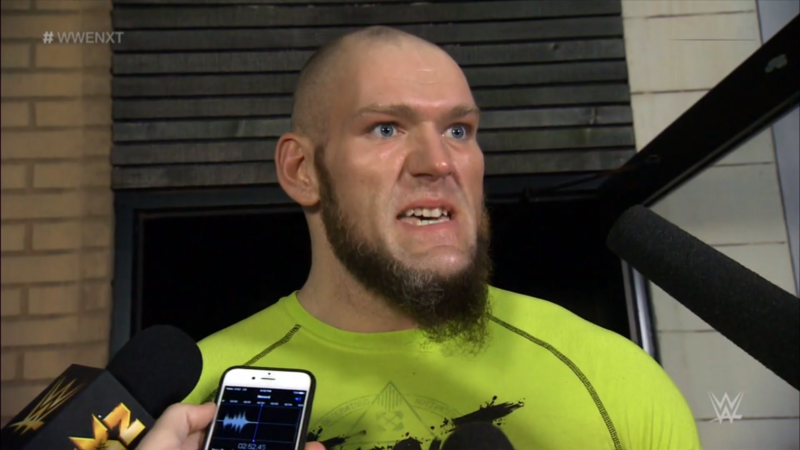 Lars Sullivan is interviewed by NXT Paparazzi. The Leviathan is asked about his coming match against Roderick Strong in the #1 Contender Series. Thoughts? Lars gives Strong his due as a competitor, and rather handsome, perhaps a Men’s Fitness cover model. That’s not Lars. Strong is a family man, Lars doesn’t have one. All Lars cares about is getting his hands on Strong and ensuring the NXT Championship becomes his! What would it mean to win the championship? That Lars gets to show the world that he is the kind of superstar he always was, nothing and no one will stop him. Will Philadelphia be the location of The Leviathan becoming champion? 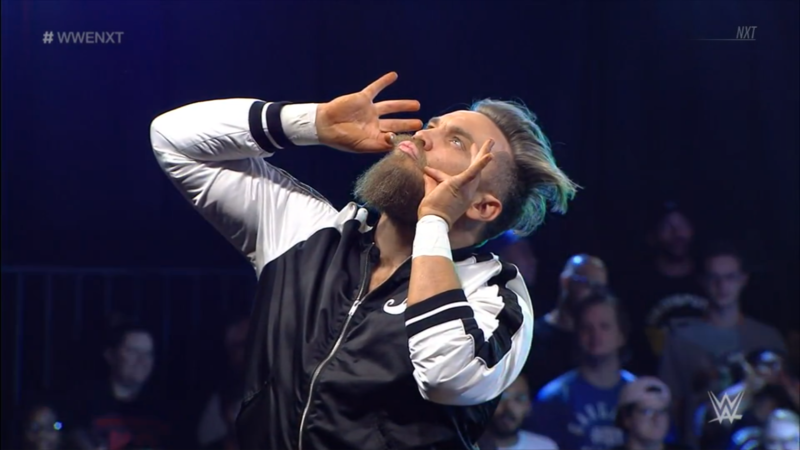 NXT Championship #1 Contender Series: Trent Seven VS Killian Dain! 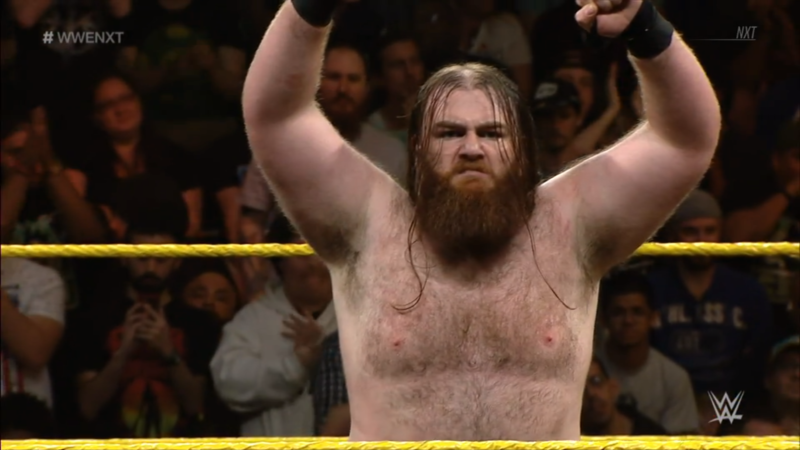 Though part of the WWE’s UK Division, the Man from Mustache Mountain has done so well on NXT TV that Regal just had to put him in this tournament! Can he get past SAnitY’s equally impressive Beast of Belfast to join the Fatal 4 Way? The bell rings, Seven rushes and chops away at Big Damo but Damo pushes him back. Seven keeps trying, keeps getting shoved away, Damo gives him a big right forearm! Damo keeps Seven standing to then blast him with a dropkick! Seven down in a corner, Damo stalks over to stomp a mudhole into him. The ref has Damo back off, Seven tries to fight back but gets another right hand. Damo scoops and slams Seven, cover, ONE as Seven revives. Damo wrenches Seven’s neck, fans cheer Seven on. Seven feeds off their energy, gets to his feet and fights back. He ducks to give chops, but Damo just fires up with them. Low kick, DDT and Damo goes down! Seven fires himself up, prepares that right arm, Seven Star blocked, but the backhand works! Seven runs, only to be run over by Damo’s Divide body check! TWO! Damo is shocked, but then furious. Fans rally for Seven, Damo calls for the finish. He drags Seven up, Seven slips out, reel out for the Seven Star Lariat! Cover, TWO! Seven’s finisher didn’t do it but he’s not done yet. He brings Damo up, as hefty as he is, but that fireman’s carry won’t work. Damo clubs and shoves Seven into the fireman’s carry, Wastland and back senton! Then he climbs up for the VADER BOMB!! Damo wins! 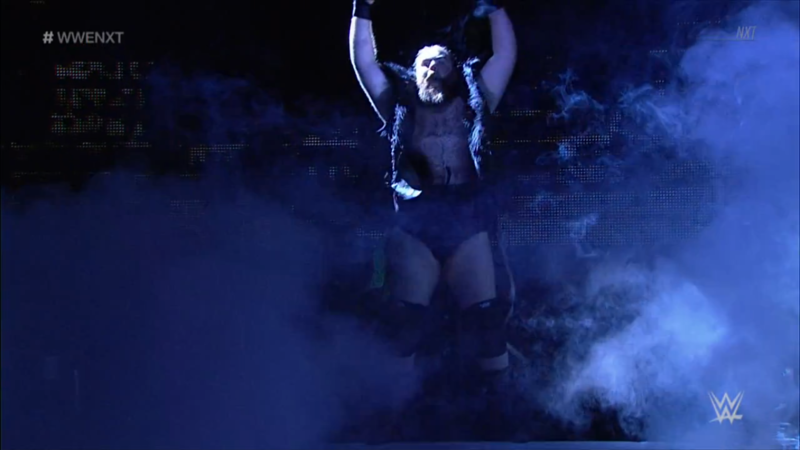 SAnitY’s monster is the first to qualify, will he be the man to win that Fatal 4 Way? NXT Universe, they told you so. They said they were going to run this promotion, and they are. They said they were going to win the returning WarGames match, and they did. And speaking of, Adam Cole is going to go up against Aleister Black in the #1 Contender Series, and while Aleister is undefeated, he hasn’t faced Adam Cole. Next week, Adam Cole shows Aleister that he’s not on the Undipusted level. And the week after that, Kyle O’Reilly & Bobby Fish challenge SAnitY for the NXT Tag Team Championships. 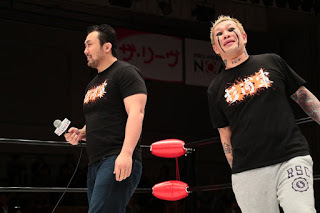 SAnitY loves to talk about chaos, reDRagon will bring a lot more than chaos! At TakeOver: Brooklyn, Undisputed Era #ShockedTheSystem, and at TakeOver: Philadelphia, they will #RuleTheSystem! Can these three back up their words with actions in the coming weeks? 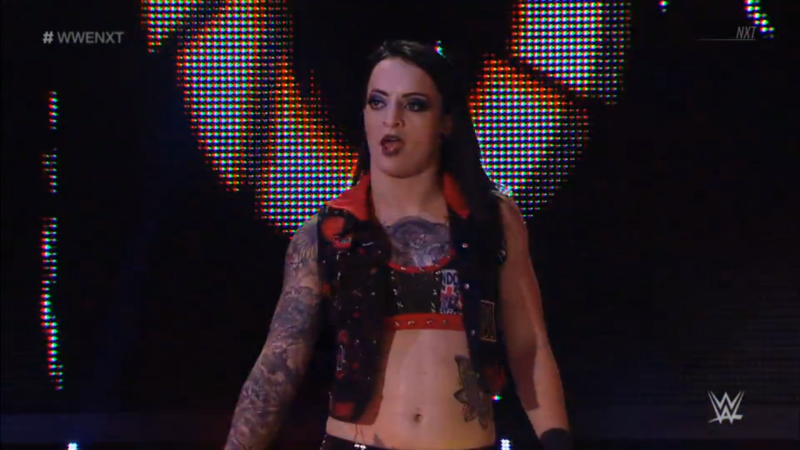 No Holds Barred Match: Ruby Riott VS Sonya Deville! Before truly leaving NXT, leader of the Riott Squad and muscle of Absolution must truly settle their rivalry! Who will come out the winner of this NXT first-time-ever? Fans are already dueling as the bell rings, Sonya gets Ruby in a waistlock right away and throws her aside. Ruby gets right up, facelock from Sonya, another waistlock throw. One more try, now it’s a gutwrench suplex. Ruby is dizzy, Sonya toys with her, Ruby rolls up, TWO. Ruby backs Sonya to a corner and throws in shoulders before throwing in forearms. Sonya shoves Ruby away then dodges, but Ruby back elbows and runs out to kick and kick. Snap suplex from Ruby, cover, ONE. Ruby won’t let Sonya get away, wrenches an arm, wants the falling enziguri, but Sonya catches it into the ankle lock! Sonya has it on tight, Ruby endures the damage to her already battered ankle. Ruby can’t get ropebreaks in this kind of match, so she either taps or fights out. Fans are rallying for her, Ruby gets to ropes. She uses them as leverage to get up but Sonya torques even tighter! Ruby is fading, but she gets a second wind, and brings Sonya into ropes with Deadly Nightshade! The hold is broken, and now Sonya clutches her throat while Ruby clutches her ankle, we go to break. We return, Ruby has Sonya in a dragon sleeper and body scissors, but Sonya fights back with fingers to the eyes! It’s all fair, too! Ruby lets go, Sonya gives her a stiff kick to the thigh. Sonya then gives her the sliding knee to the ribs! Cover, TWO, Sonya keeps her focus as she brings Ruby up for forearms. Sonya puts Ruby in a corner and gives a stiff knee, snapmare to sliding knee into Ruby’s spine, TWO! Sonya isn’t frustrated, she’s just annoyed. Ruby fights back with body shots, then haymakers and forearms. Ruby runs, but into Sonya’s leaping lariat! TWO, now Sonya might be a bit frustrated. Fans rally for Ruby again as she’s put in a modified arm-triangle. Sonya thrashes Ruby around, Ruby works against the hold and throws in some elbows, but Sonya swings her back down. Ruby tries again with those elbows, and gets free, to duck the lariat for a standing STO! Both women are down as Ruby recovers. The fans rally as the two stir, Sonya drags Ruby up but Ruby blocks punches to give punches. Ruby starts rallying now, she’s all fired up. She brings Sonya up now, whip reversed, Ruby holds ropes and elbows back. Ruby goes to the apron, shoulders back in, step-in complete shot! Cover, TWO, and Sonya gets out of the ring. Ruby takes aim, builds speed, and DIVES! Direct hit, Ruby wipes Sonya out but does not slow down. She puts Sonya in the ring, but Sonya kicks her on reentry, and puts her in a draping triangle hold! Ruby is on the ropes but it doesn’t matter! The referee checks on her, but she’s out! Ruby is out cold and Sonya wins! Sonya brought a bit of absolution to NXT, where will she and Riott go from here? 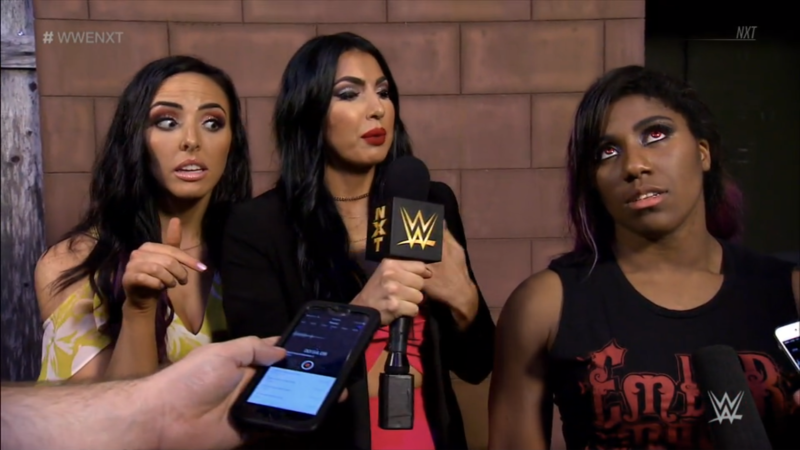 Ember Moon encounters the NXT Paparazzi. The Prophecy of Flame is finally the NXT Women’s Champion, how does it feel? It’s a dream come true. NXT: WarGames was Ember realizing her destiny, and she vows to be the best NXT Women’s Champion ever. However, The Iconic Duo has a question. Billie Kay asks who Ember pinned at WarGames. Peyton Royce answers: Ember pinned Nikki Cross. In other words, NOT Peyton Royce. Therefore, the Iconic Duo deserves a chance to defeat Ember. Ember would love to argue with these two, but she’ll make it easy. Who is it that Ember is facing? Peyton & Billie both say “Me.” The best friends deliberate, looks like this is a #IconicProblem. It doesn’t matter to Ember, just choose one and meet her in the ring next week. Who is it? Slow down, Paparazzi. The two do reason it out, Peyton wants to “settle unfinished business”, and Billie obliges. So long as Peyton leaves something left for Billie. The Iconic Duo is confident, will either of them be able to show-up the champion? NXT takes a look at the rivalry of Pete Dunne & Tyler Bate. The Bruiserweight and the Student of Mustache Mountain were the final two men in the WWE United Kingdom Championship Tournament. Dunne and Bate were among the youngest competitors in that tournament, and yet put on a match of a level beyond their years. In the end, Bate won to become the inaugural WWE UK Champion, and thus began the WWE UK Division. However, sometime later, Dunne would get a rematch and then win the title off of Bate! Dunne has kept that belt ever since, but Bate will be back to challenge for the title in two weeks! 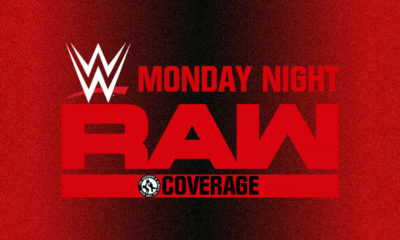 Can Bate become the first-ever two-time WWE UK Champion? 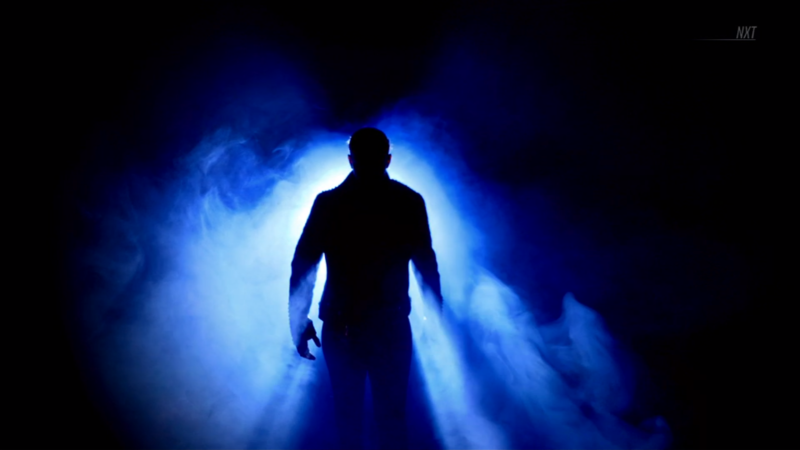 Someone new is coming to NXT. 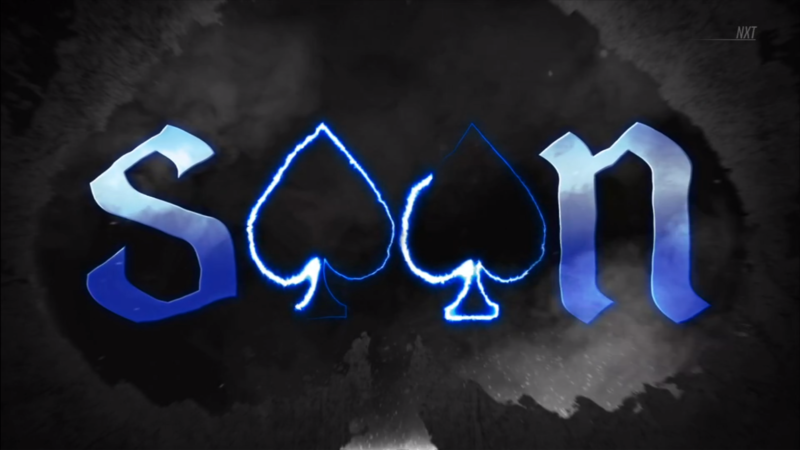 Just who is this Ace of Spades? 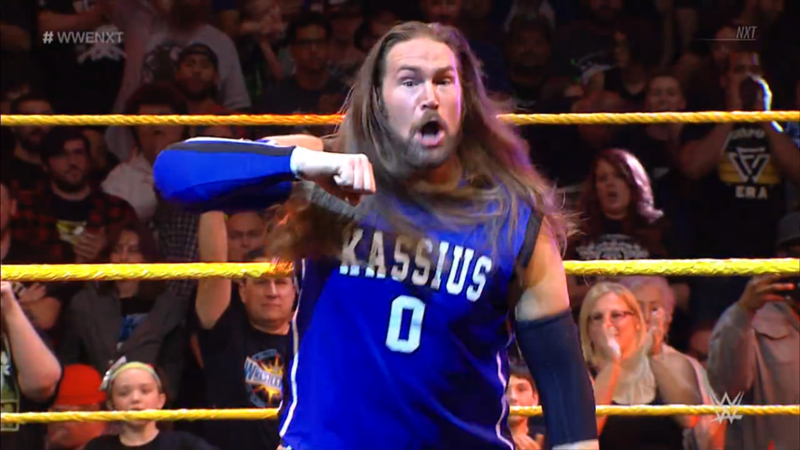 NXT Championship #1 Contender Series: Kassius Ohno VS ??? The misfortune of the Patrick Clark Experience becomes the fortune of another superstar. The man to face the Knockout Artist is… none other than Johnny Wrestling! 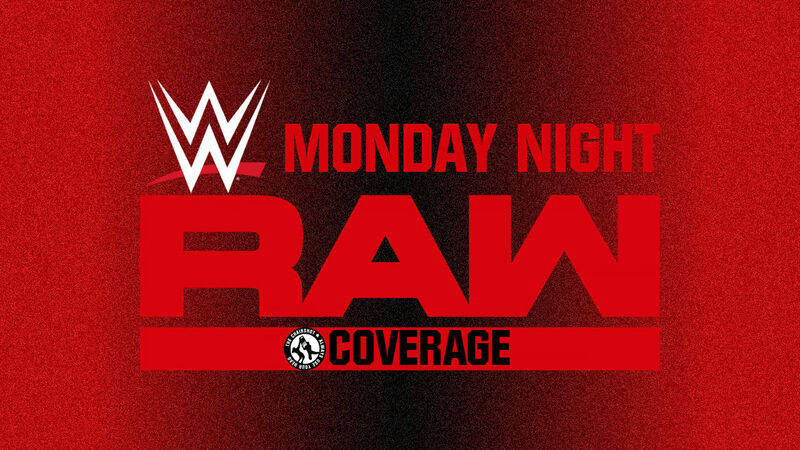 A big opportunity for Gargano, can he capitalize on it?! The fans duel, the bell rings, and the two men circle. It is so thunderous in the arena, but Ohno asks for silence so that they can shake hands. The two then tie up, waistlock toss from the bigger Ohno. Gargano gets right up, they circle and tie up again, Gargano gets an arm wrench and wristlock. Ohno spins around to put on a headlock, he brings Gargano to the mat and then gets out of the hammerlock to put on an armlock of his own. Gargano kip-ups and wristlock but Ohno gets a single leg takedown, things speed up and both men show off their agility, but it is Gargano with the takedown to a cover, TWO. Gargano wrenches, ducks Ohno’s forearm and dropkicks Ohno. Ohno gets to a corner, puts Gargano on the apron, runs and catches the slingshot spear to chicken wing Gargano on the ropes, for a stiff elbow! Down goes Gargano, Ohno in control as we go to break. We’re back, Ohno has Gargano in a corner and gives toying boots to the head. Ohno brings Gargano up, sharp chop sits Gargano back down. He brings Gargano out for a snapmare and knee drop, right to the face. The knee pads go down, Ohno gives another sharp knee drop! Gargano scrambles to ropes, Ohno brings him up for a clubbing forearm, then stalks him to a corner. Gargano fires up and fires back with forearms, Ohno just gives him a big boot! Ohno covers, TWO as Gargano still has life, but Ohno works to knee drop it out of him. Ohno brings Gargano up, Gargano gives him a haymaker, so Ohno gives Gargano a stiff elbow! Cover, TWO! Ohno is getting frustrated with Gargano now. He stands over the dazed Gargano, goes for the back senton, Gargano gets up knees! Gargano fires off haymakers, Ohno suplexes but Gargano slips out to give more left hand lariats, Ohno stops him with one swift shot. Ohno runs into the corner but Gargano gets a boot up, hops up, flying huricanrana and then an enziguri! Ohno ends up outside the ring, Gargano spots him, slingshot but Ohno gets in under and runs, slingshot spear! TWO! Gargano keeps his focus, fans duel once again. The two men get up, Ohno a bit slower, so Gargano gives him a kick right to the face. Ohno laughs, Gargano gives him more. Ohno catches one, stands up, but Gargano dodges to school boy kick, but Ohno brushes it off to hit a back senton! Gargano is flattened, he rolls himself to the apron. Ohno wonders what’s up as Gargano gets to his feet. He comes over, wondering if Gargano is done. Gargano dares him to bring it, so Ohno gives Gargano another boot! He’s dazed now more than ever, so Ohno runs and… handsprings when he sees Gargano evade. Gargano keeps going, and now Gargano DIVES! Ohno impacts on the steel ramp! Fans are chanting for “NXT! NXT!” as both men are down on the outside. Gargano wills himself up and over to Ohno, then brings him back into the ring. Ohno in a corner, Gargano runs in and hits a running enziguri, keeps going, and runs into Ohno’s discus boot! TWO! Ohno is shocked but the fans are loving it. The fans duel again as Ohno stalks the dizzy Gargano into a corner. Ohno brings Gargano up for another stiff elbow, then shovels Gargano up onto his shoulders, Gargano fights out of the electric chair for the victory roll, TWO! Gargano gives forearms from both sides, only to be rocked by another boot! Ohno runs, and gives Gargano a flying elbow! TWO!? No one can believe it, least of all Ohno! The fans of Full Sail are cheering for “NXT! 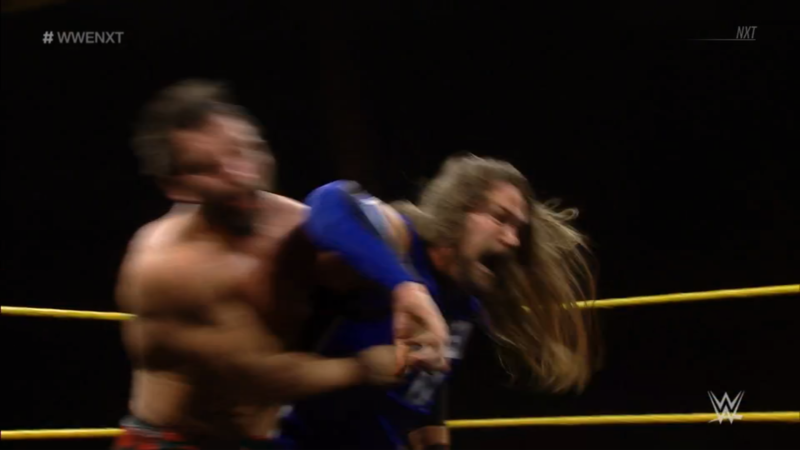 NXT!” as Ohno gets up and takes off the armband. Discus- Mule kick! Fake out, mule kick and SUPERKICK! Tilt-o-whirl, GargaNO Escape! Ohno endures, Ohno taps out, Gargano wins!! A massive moment for Johnny Wrestling, and now that he’s in, can he earn an even greater win in the NXT Championship #1 Contender Fatal 4 Way?! 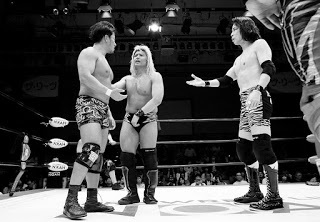 As for Ohno, Gargano gives him a respectful forearm bump for both men to show great sportsmanship. What does the future hold for Ohno? Does it include NXT? An incredible night for NXT! The only let down: the “celebration” of Almas’ win wasn’t much of a party. Him and Vega rubbing it in everyone’s face was perfectly suited to them, though. I don’t think Almas will have that many matches while a new #1 contender is being determined. Speaking of, this modified tournament format is a great way to make up for McIntyre’s injury, but they also did great to adjust for another injury sustained by Velveteen Dream. Seven and Dain have a solid opening match, two hosses slugging each other is always fun. 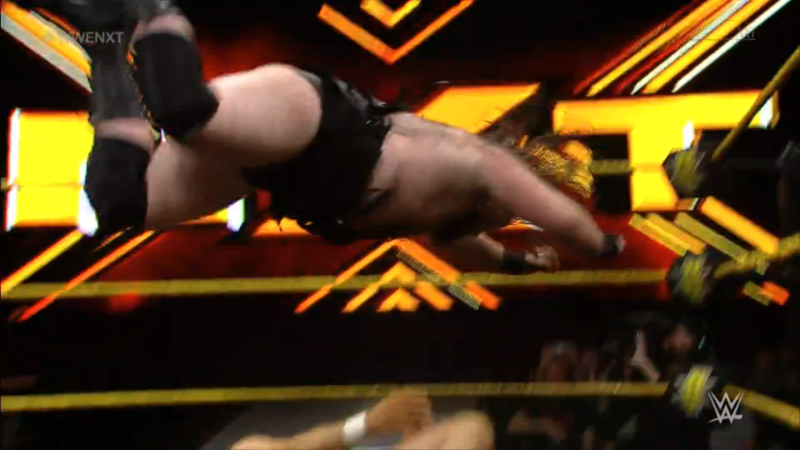 The bigger hoss goes over because Damo is more involved in NXT than Seven is, and it really ups the level of that Fatal 4 Way given how Damo was a one-man wrecking crew during parts of the WarGames match. The No Holds Barred was incredible, it’s a shame the Ruby-Sonya feud ends prematurely with call-ups. This match still shows the great in-ring abilities both women have and therefore means they can do the same on main against the right opponents. Absolution and Riott Squad are going to go far with those two as members. Then in the stellar main event, Gargano is not only a surprise entrant but he and Ohno burn the house down! 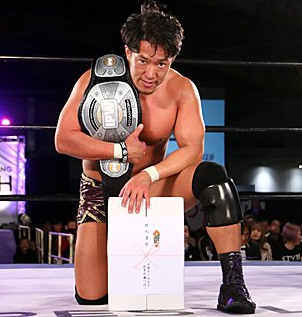 Great story elements of an unlikely David VS Goliath as Ohno uses size and strength to beat Gargano down but Gargano keeps getting up to show he’s probably one, if not THE, toughest man in NXT today. Gargano wins because that is a great underdog-triumphs moment, and with this momentum, he is a top choice to win the Fatal 4 Way, even with Adam Cole, Aleister Black, Lars Sullivan or Roderick Strong joining in.